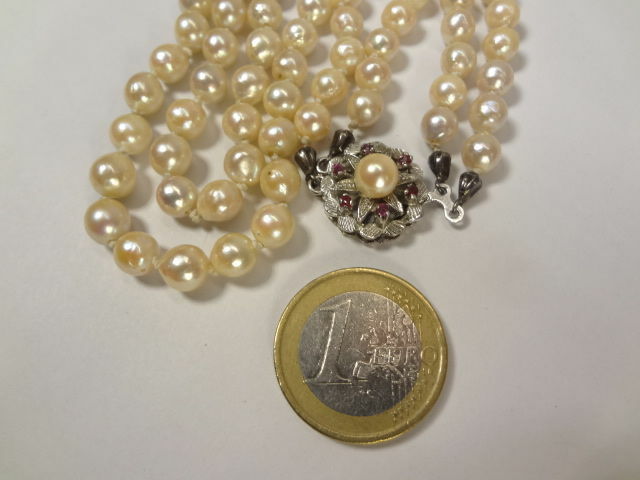 Necklace of a good quality (A) round to near round pearls necklace with genuine Japanese Sea / Salty Akoya pearls, wonderful color and luster, each of the 127 pearls is single knotted. 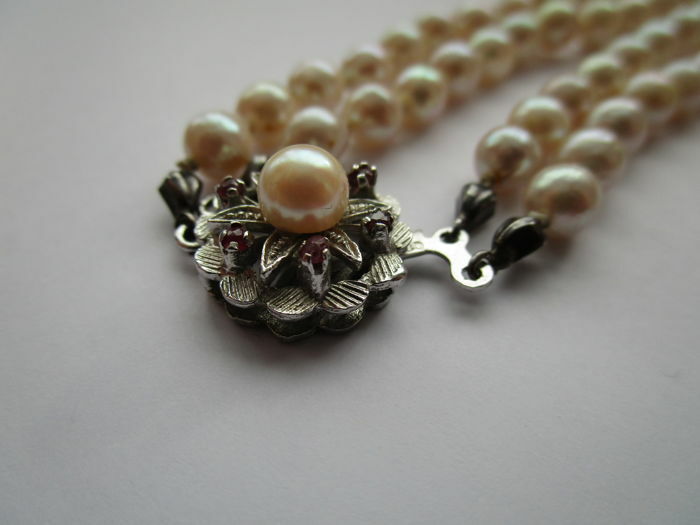 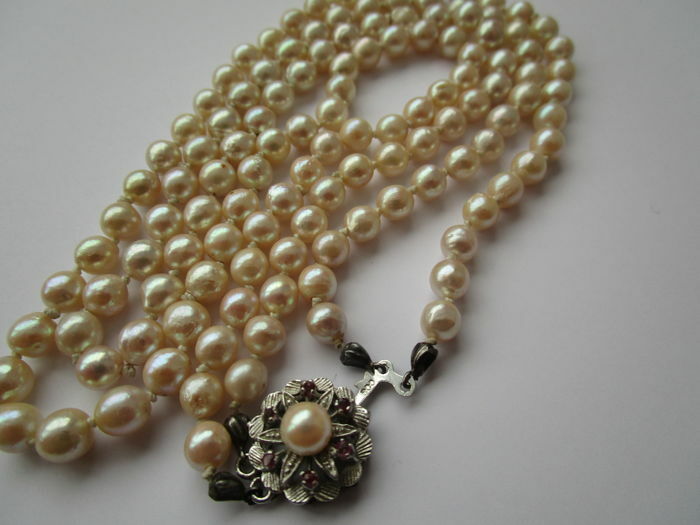 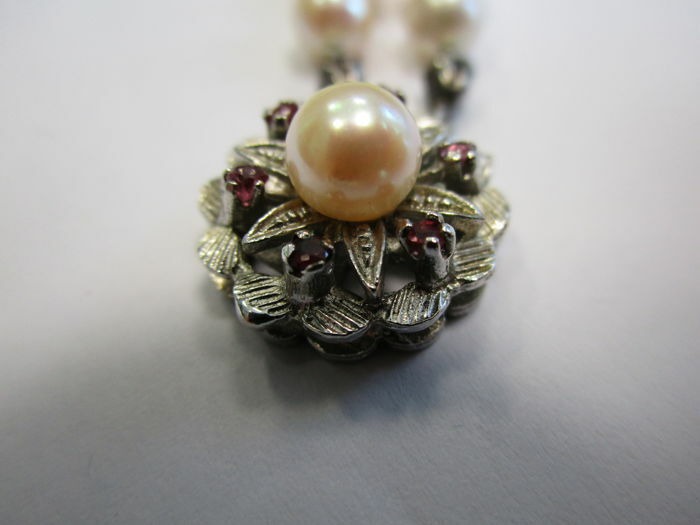 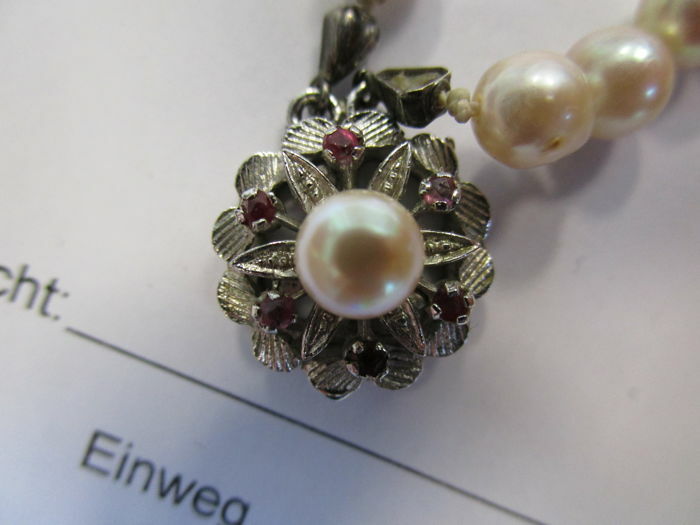 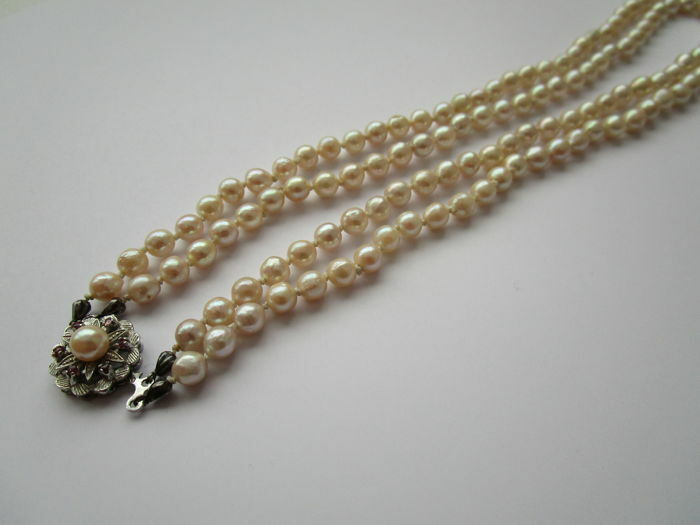 The pearls are beautiful with fine luster, they are approx. 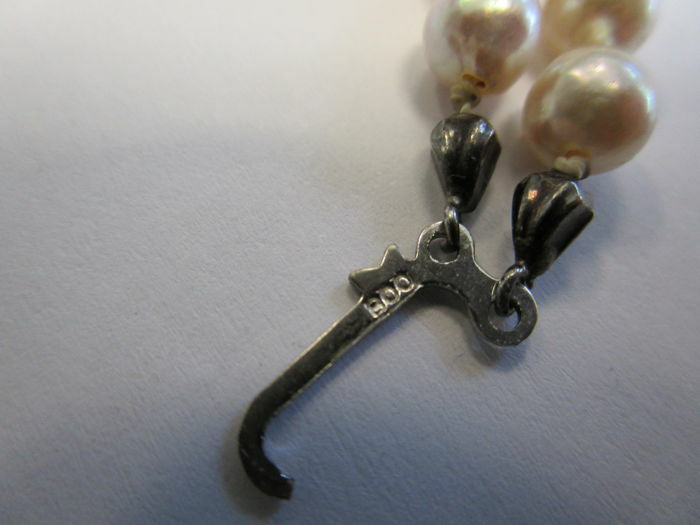 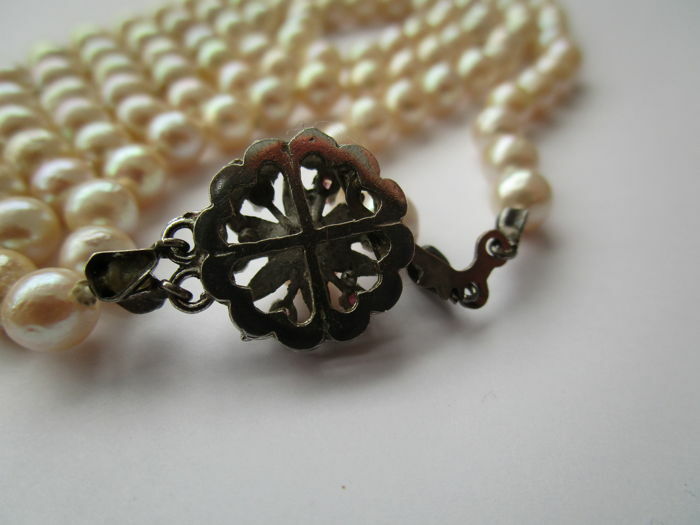 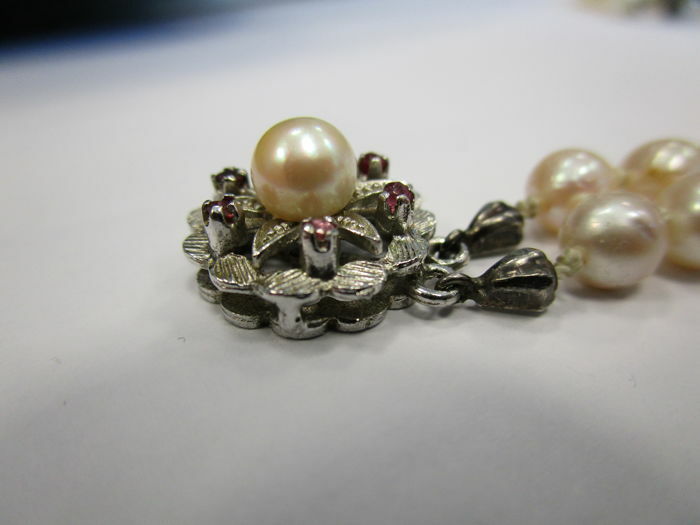 4,9-5-5 mm in diameter and accompanied with antique silver. 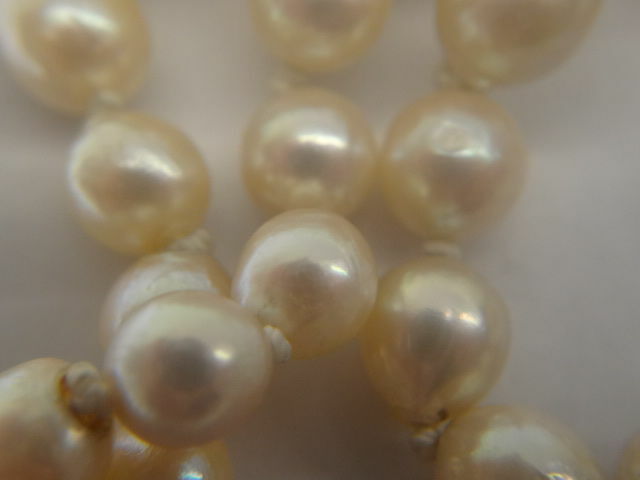 All pearls are very shiny, minimal growth characters are present, which themselves are very small. 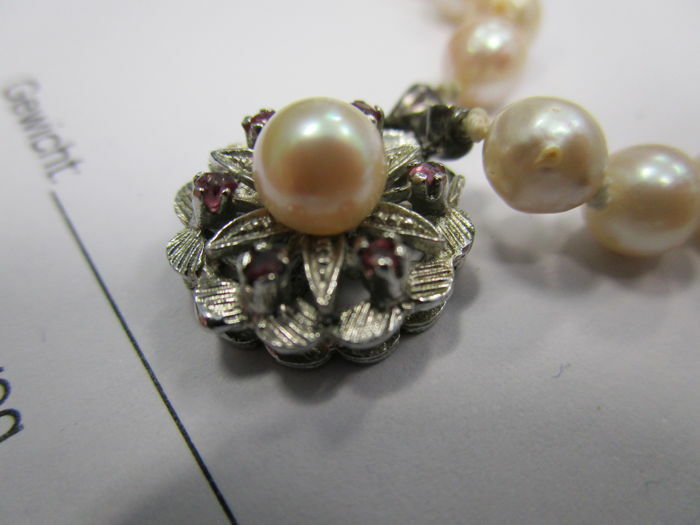 The color is ivory white and reflected by a silver luster and rosegold color. 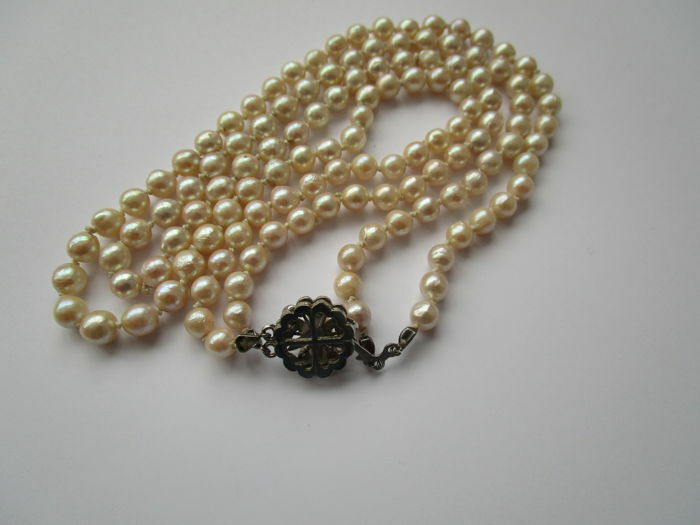 Made in early 20th century. 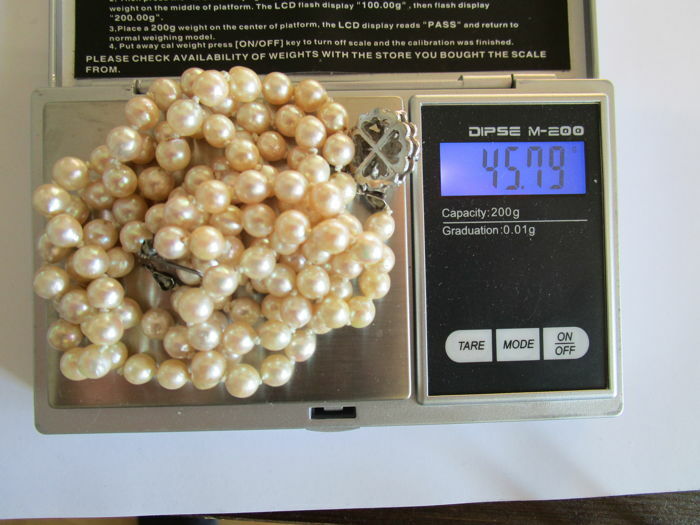 Round and semi round see/salty pearls are extremely rare in the world and very expensive. 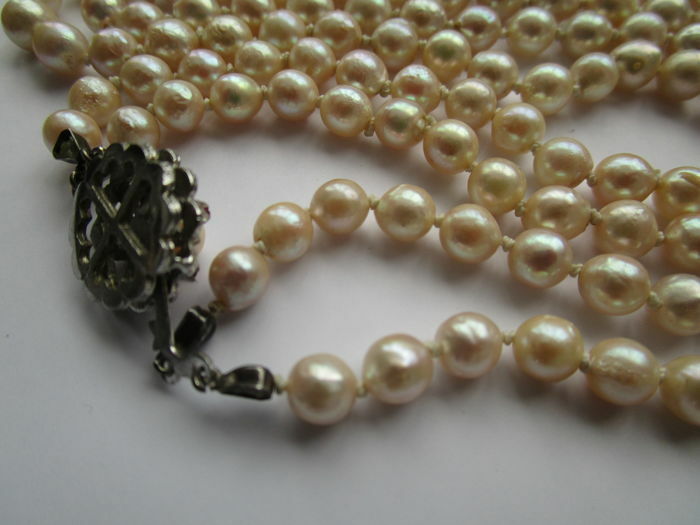 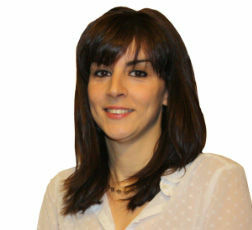 Transaction perfect from begin to end.